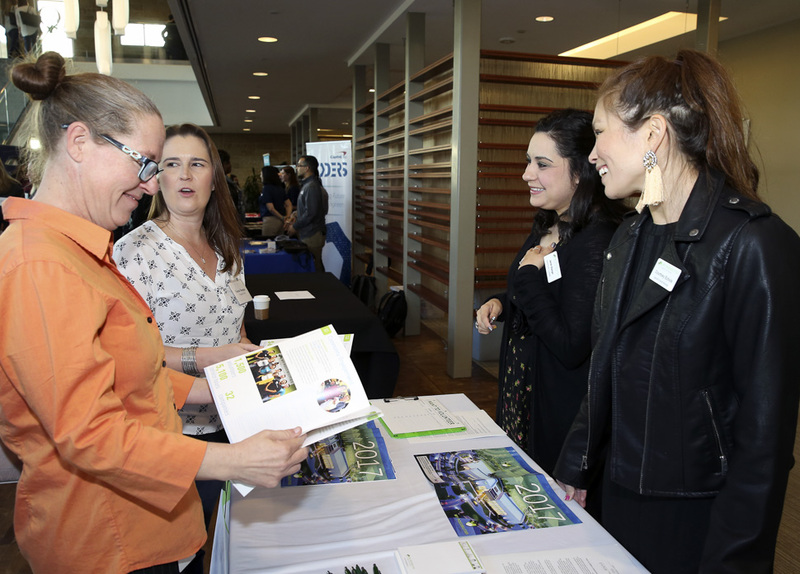 The financial services company awarded grants to 10 nonprofits and hosted dynamic speakers to talk about empowering the next generation of engineers and scientists through education. 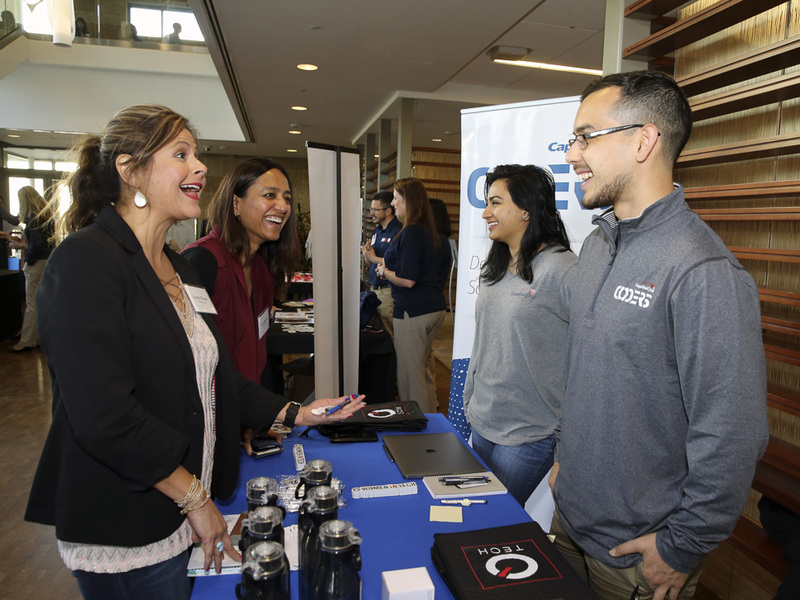 Capital One celebrated the 10th anniversary of its regional headquarters in Plano by awarding grants to 10 nonprofits and having dynamic speakers talk about empowering the next generation of engineers and scientists through education. Peter Diamandis talked about the power of disruption, the rapid pace of change, and the propensity for those who resist change to become extinct. The April 20 event took over the conference center at Capital One’s sprawling 1.2 million-square-foot campus. Over the last 10 years, Capital One employees have donated 210,000 hours of volunteer time in the community. Capital One, within the last decade, has made a significant contribution to nonprofits. Capital One’s Plano campus is home to The Garage. The innovation center takes a startup- and coworking-style approach to solving problems within Capital One. The separation is critical so these ideas can fail in a safe environment. Arjun Dugal, chief technology officer of financial services for Capital One, talked about volunteering for Girls Inc. in Dallas, where it provides support, inspiration, and academic guidance for girls. Artificial intelligence programs can actually help youngsters get back on track so they can achieve their potential. He also talked about volunteering with the Boys & Girls Club of Collin County, where it recently had a middle school coding competition. Students invented their own arcade game. 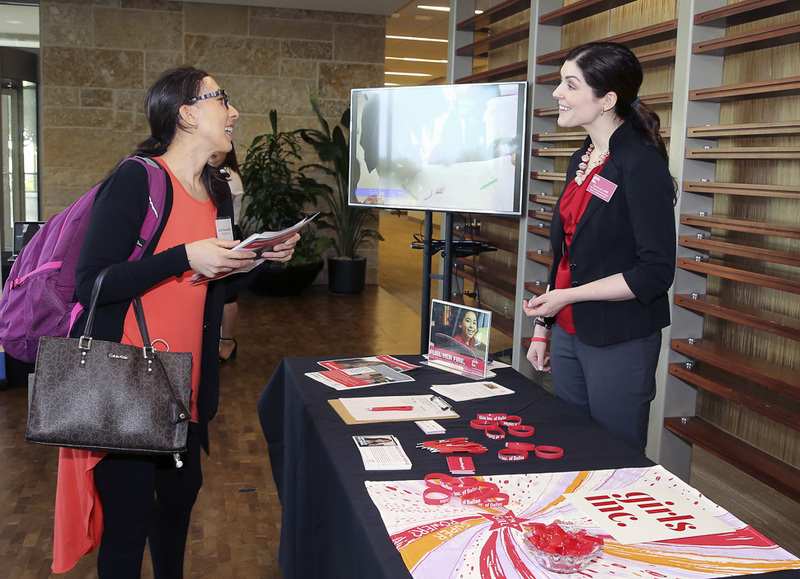 Several nonprofits highlighted the efforts they are taking to further science, technology, engineering, and math education in North Texas. The Girl Scouts of Northeast Texas will celebrate the grand opening of its STEM Center of Excellence at Camp Whispering Cedars next weekend. The 92-acre living laboratory in south Dallas is designed to help young girls explore STEM concepts. Jennifer Bartkowski, CEO of Girl Scouts of Northeast Texas, talked about the origin of the camp’s transformation at the Capital One event. “Texas Instruments came to us and said they have a crisis on their hands with not enough engineers in the pipeline,” Bartkowski said. Bartkowski decided they were experts in girls, they just needed industry professionals to show them STEM careers. “We want more girls to eventually become STEM professionals primarily focusing here on engineering, computer science, coding, and some of those careers where women are really underrepresented,” she told Dallas Innovates in 2016. Capital One, among other companies, has volunteered time to help inspire young girls. Mansoureh Tehrani, a work-based learning consultant for NAF, talked about the Monster Coding Jam session where 560 Dallas ISD students worked with 164 mentors to break the Guinness World Record for largest programming event in October 2016. “We have so many students who have changed their track,” Tehrani said. The Sci-Tech Discovery Center in Frisco is a hands-on science museum that’s fun and educational for field trips. But it’s not enough, Peter Claffey, Sci-Tech’s executive director said. Growing up at the height of Space Race and the original “Star Trek,” Peter Diamandis dreamed of being an astronaut. While that dream didn’t come true, his goal now is to advance private commercial space flight so anyone can visit space. He’s the founder and CEO of XPrize, the nonprofit which offers large-scale incentive competitions. Making space available for the masses is emblematic of how Diamandis views everything. While many look at the proliferation of technology as making society worse or possibly leading to a dystopian future, Diamandis has a more utopian outlook for today’s youth. He talked about a future with electric vehicles that are fully autonomous and can be hailed easily like today’s rideshares. The cost of these vehicles could actually end up being cheaper than owning a vehicle, making vehicle ownership obsolete within 10 years. For proof of how fast things can change, he showed a photo of New York City in 1908 with only two motorized cars on the road surrounded by horse-drawn buggies. A decade later, the Ford Model T had made cars affordable and there wasn’t a single horse in the photo. Renewable energy will replace fossil fuels and super fast 5G networks are omnipresent so everyone can get connected. But now, that change is happening much faster than at any time in human history. The democratization of cell networks, knowledge, sharing, and invention means more people than ever will be connecting to the internet. He said the entire world could be connected to 5G networks. “That’s 4 billion new minds coming online so what do they want?” he asked. Consider that 22 years ago Kodak had a market capitalization of $28 billion and 140,000 employees. The company had a digital camera, but didn’t commit to the digital camera revolution, fearing it would upend its firm hold on selling film, Diamandis said. By 2012, Kodak had filed for bankruptcy with 17,000 employees. “They were put out of business by the very technology they had invented,” Diamandis said. That same year, Instagram and its 13 employees were acquired by Facebook for $1 billion. “All these things have become apps where the cost of replications is near zero and the cost of transmission is near zero,” he said. China’s artificial intelligence and facial recognition can identify billions of people in just seconds. New technology captures carbon dioxide emissions from smokestacks and converts it into a product that justifies the cost. Clean water will be pulled out of thin air as humidity condenses into liquid form. Robotic avatars will allow anyone to beam themselves to another place, allowing a doctor to remotely visit the house or a vacationer to visit an exotic locale from the comfort of home. A panel of three former Plano mayors talked about the evolution of Plano from 2008 to 2018. During that time, the city added 20,000 residents and Capital One grew to 5,000 employees. 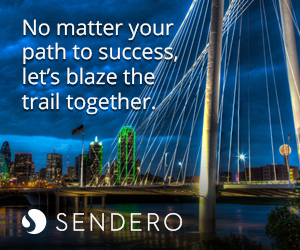 Now, Plano finds itself competing on the global stage for businesses to relocate there, said Pat Evans, who was mayor of Plano from 2002 to 2009. None were bigger than scoring Toyota’s North American headquarters, which opened last year. Harry LaRosiliere, Plano’s current mayor, said Plano has been transformed from a tiny suburb, Plano 1.0, to a bedroom community, Plano 2.0, to a hub for corporate relocations. Photos courtesy of Capital One. Mike Feeney (far left), senior vice president of operations for Capital One Auto Finance, moderated a panel of Plano mayors past and present including Phil Dyer (second left), current Mayor Harry LaRosiliere, and Pat Evans. Tiffany Cason (far left), Dallas market president for Capital One, moderated panel of nonprofit leaders including Jennifer Bartkowski, Girl Scouts of Northeast Texas; Mansoureh Tehrani, NAF; Mike Simpson, Boys & Girls Clubs of Collin County; and Peter Claffey, Sci-Tech Discovery Center. Arjun Dugal, chief technology officer for financial services at Capital One, talks about the intersection of community and technology. Keynote speaker Peter Diamandis, CEO of XPrize, talks about how technology is changing our world during a Capital One event Friday. Sanjiv Yajnik, president, of financial services for Capital One, speaks during the event Friday at the company’s Plano campus.